The academic program is offered as 9 months of tuition with 600 hours of classes and workshops and is complemented by an exam preparation course, arts and design practical labs, and cultural excursions. Upon successful completion of the program, students will achieve the C.I.L.S. B2 level certification (Certification of Italian as a Foreign Language) and receive academic titles with legal value, accredited by the Italian Ministry of Education, valid for enrolment into Italian undergraduate degree programs. Students will take part in a series of practical labs and hands-on workshops, guided by expert faculty that will help to develop the core skills and techniques for art and design studio work and mastering artisanship with different materials. 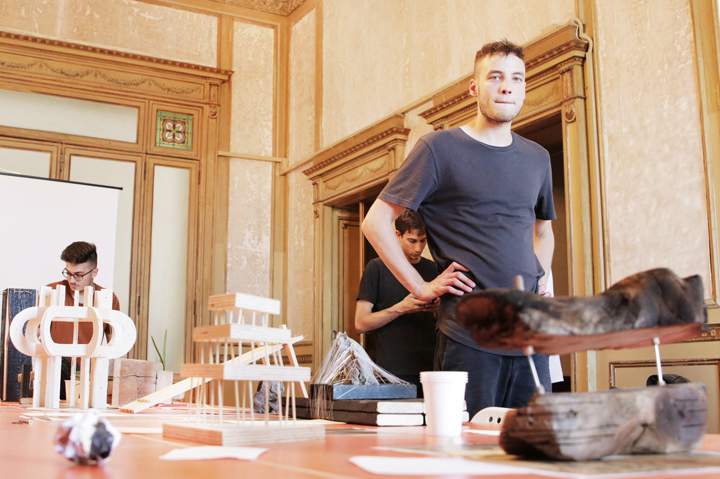 The Pathway workshops will also expand the student’s portfolio which is an essential requirement for enrolment in design degree programs in Italy. Italy has been one of the most crucial centers of discovery in art and culture and the main phases of its art, especially from the Renaissance to the Baroque and Neoclassical periods, have influenced and still fascinate the world. The course is defined as a dynamic path towards the knowledge of the historical/theoretical phases of the most important profiles that characterize Italian history from the Middle Age to the most recent trends in art, including Futurism, Conceptual Art, Arte Povera and the Transavanguardia. Students learn about the history of Architecture and Design in Italy from the early 19th century to today. 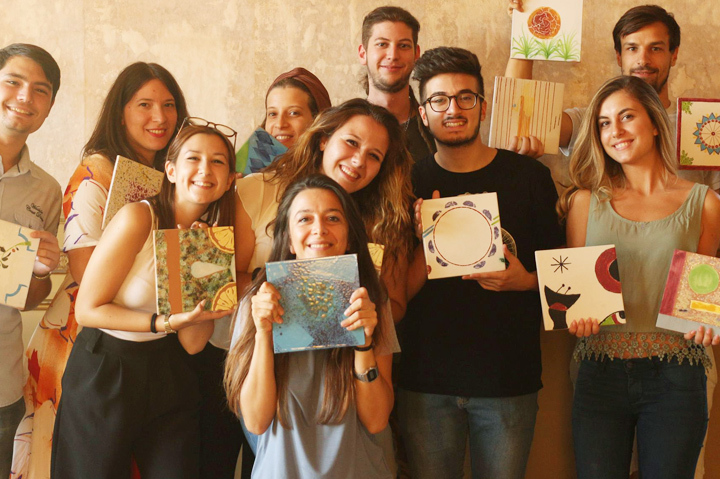 After an overall introduction to the European artistic and cultural context, the course will develop the topics of the architect and designer’s role in Italian society and its transformation from the pre-industrial to the post-industrial age. The Italian language course is offered as an 8-month intensive program that allows students starting at beginner levels to achieve the required upper intermediate (B2) level of Italian language competence required for enrolment into Italian university programs. Students are taught by expert, highly qualified native Italian language instructors that implement the communicative method in the classroom to achieve the best results in all 4 linguistic skills: speaking, writing reading and listening comprehension. Students take part in a 40-hour intensive C.I.L.S. exam preparation course, which will cover the best practices for academic writing, preparation tests with C.I.L.S. past papers and oral exam simulations led by instructors that are University of Siena C.I.L.S. examiners. Syracuse Academy is a C.I.L.S. exam center. Students will be able to enroll in the spring exam session at the. end of May in order to achieve the B2 C.I.L.S. certification which is recognized by all Italian and international universities and design schools. analyzed in relation to various national events, thus depicting a social history of Italy. The Italian university system requires at least 12 full years of primary and secondary education for enrolment to all degree programs. Universities and design schools also require a certificate for Italian language B2-upper intermediate level and a personal portfolio (for design undergraduate programs). Our students come from a range of countries, age groups, and backgrounds. We welcome intelligent, creative, motivated people who are interested in moving into an art and design vocation. Besides allowing you to become familiar with the language and culture of Italy before starting university, the Foundation Year also provides the opportunity to visit universities throughout the country and decide which school is right for you. Does the Foundation Year allow students to enroll in any art and design degree program in Italy? Upon completion of the Foundation Year program, students may choose to apply to any University or Design Academy in Italy, having achieved the necessary pre-requisites for linguistic competence and the minimum number of schooling years required for application to undergraduate BA degrees in Italy. Depending on the university, students may be asked to provide additional documentation or to pass an entrance exam for admission to the program of choice. Completion of the Foundation Year program grants direct admission to the BA courses at MADE Program | Fine Arts and Design Academy in Syracuse. What are the prerequisites to enroll in the Foundation Year? What are the program fees and deadlines? NB. non-EU students should pay the Enrolment Fee at least 90 days before the start of the program in order to process the visa application. The Foundation Year is a 9-month intensive university preparation program. Students may enroll to start the program in the Fall or Spring semester.